For a lot of people, spring fever is a bit too literal—it means seasonal allergies. With plant pollen already afloat in much of the United States, many allergy sufferers are stocking their medicine cabinets with antihistamines, which control symptoms but can cause drowsiness, dizziness, and dry mouth. “Many of my patients are tired of the side effects of antihistamines,” says Randy J. Horwitz, M.D., Ph.D., medical director of the University of Arizona’s Program in Integrative Medicine, who’s board-certified in allergy and clinical immunology. And allergy shots can be expensive and time-consuming (not to mention the fact that they cause several deaths each year from adverse reactions). Here Horwitz has helped us put together an all-natural five-part plan for overcoming your allergies that includes supplements and self-care strategies. The goal of nasal irrigation is to use saltwater to rinse irritating pollen grains and mucus from your nasal passages. Although you can use a cup or rubber syringe, the classic implement is the neti pot, an ancient Indian device that resembles an Aladdin’s lamp (see page 19). Fill the pot with a solution of 1 cup filtered warm water and 1/4 teaspoon salt, tilt your head to the left, press the spout into your right nostril, pour the water in (water should trickle out your left nostril), and repeat on the other side. It can take a few tries to get the hang of it, but daily use can make a big difference in your symptoms. Since allergic reactions typically involve inflammation, it makes sense to avoid foods that encourage this process. Horwitz recommends cutting back on saturated fats (in red meat, dairy, and other animal products) and replacing them with at least three weekly servings of omega-3 fatty acids (in foods such as flaxseed, walnuts, and salmon), which have anti-inflammatory properties. Your diet can influence allergies in another way: If you’re allergic to certain plant pollens, you can also suffer symptoms if you eat foods containing similar proteins. Typical offenders include bananas, melons, apples, carrots, pears, and potatoes. Several studies have shown a link between stress and allergy symptoms—potentially a vicious cycle, since allergies also no doubt cause stress. Likewise, research suggests that relaxation techniques, such as guided imagery, hypnosis, and even laughter, can decrease your body’s reaction to allergens; Horwitz’s patients have had particularly good success with hypnosis. When it comes to supplements and herbal remedies, several natural choices may work as well as their conventional counterparts, but without side effects. The newest supplement on the allergy scene is butterbur, an herb that research shows can relieve allergies as well as a prescription drug. 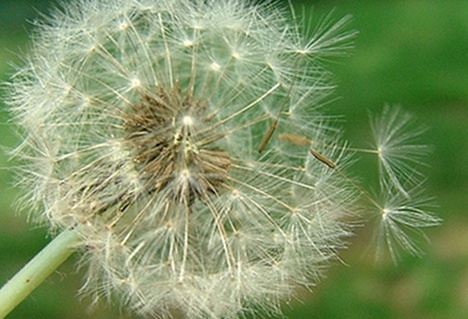 Take one 50-mg butterbur tablet three to five times a day during allergy season. A safety note: In its natural form, butterbur contains compounds that can be toxic to the liver. Horwitz stresses that it’s important to use products that remove these compounds, from companies with good quality control; he recommends Petadolex. Another herb, stinging nettle, hardly sounds soothing, but it has been used for centuries to combat allergies and is thought to slow your body’s production of histamine. The freeze-dried version appears to be most effective; take two to three 300-mg capsules daily from the beginning to the end of allergy season. Quercetin, an antioxidant compound that’s been shown to prevent the release of histamine more effectively than medication, is a third option. It’s found in apples, onions, and tea, but to fully prevent allergies, take 400 mg of quercetin three times a day, starting a few weeks before allergy season and continuing until the end. How to choose among these supplements? Horwitz recommends starting with quercetin and then adding stinging nettle if you feel you also need an antihistamine. If you’re not seeing results after a month or so, keep taking quercetin but replace the nettle with butterbur. 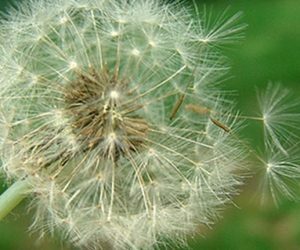 One study of patients with seasonal allergies found that those who took homeopathic remedies tailored to match their specific allergies saw their symptoms significantly improve. For results like these, you’ll probably need to see a classical homeopath, who can recommend the proper remedy for your particular symptoms. But if you can’t find a local homeopath, consider taking a combination product such as AllerAide, which contains several ingredients aimed at alleviating symptoms. For itchy eyes, try homeopathic eyedrops, which have been shown to reduce redness and itching.